We welcome new volunteers and new ideas! For more information on the Social Action subcommittees and projects, contact the Social Action co-chairs: Jason Weiner (jason.weiner@gmail.com) or Sharon Rogoff (MichaelAndSharon@comcast.net). Social action is an integral part of the culture at B’nai Israel. 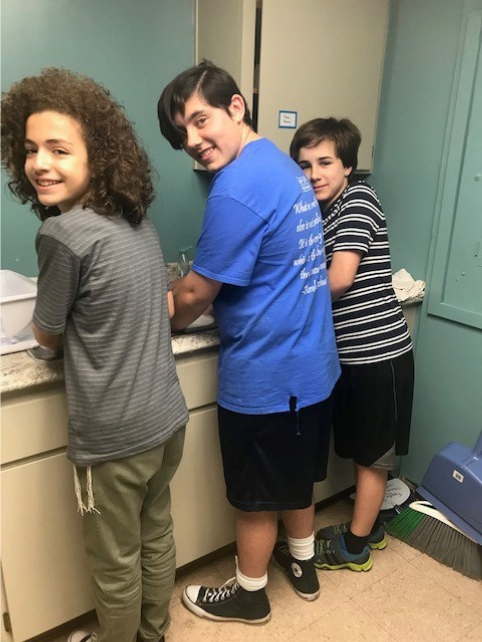 The Social Action Committee offers many ways for members to fulfill the mitzvah of tikkun olam (repairing the world) through activities of varying time commitments. Our various Social Action subcommittees address issues such as homelessness (Family Promise, Winter Sanctuary), the environment (Sustainable Living Committee), racial justice (Focus on Racial Justice), LGBTQ rights (Pride Committee), and the plight of immigrants and refugees (Immigrant Committee, Refugee Committee). We work closely with our clergy, Director of Education, other temple staff, and lay leaders to ensure that any interested congregant can find a suitable volunteer activity. We also offer our b'nai mitzvah students the opportunity to find an appropriate mitzvah project. Click on the "Get Involved" tab of our website and visit the individual Social Action pages to learn more.